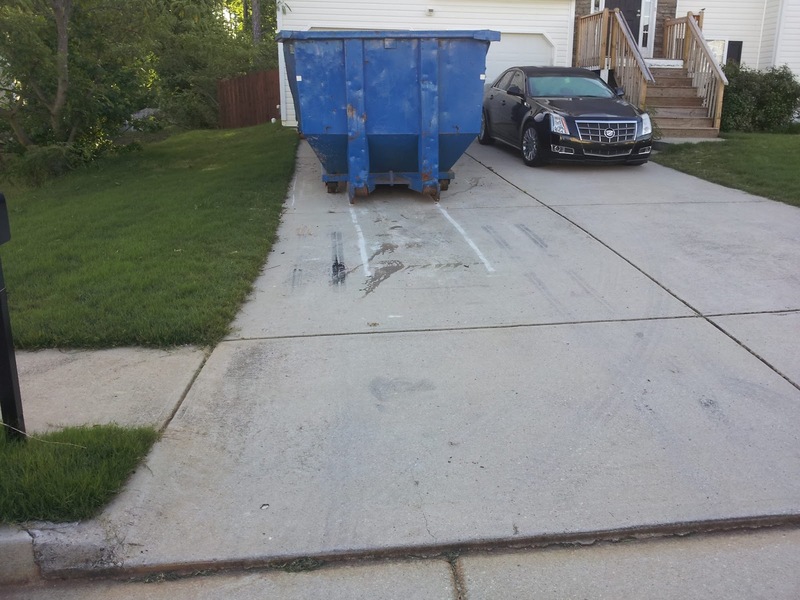 Driveway damage from a dumpster can leave scraps, cracks, gouges, rust stains, and etc. Not all damage is permanent, but either way it is an eye sore. Dumpster damage is easily avoided with planning and communication. If the company you rented the dumpster from does not provide any type of driveway protection or not complete protection (protection from roller(s) and rails) you can provide it. The driveway needs to be protected from all rollers and rails; this will keep it from ever touching the surface. For most situations a sheet of plywood cut up into 4 equal parts would work; 2 parts for rails and 2 for rollers (you should check with the dumpster company to see how many rollers their dumpsters have). Most companies will place the provided protection under the dumpsters. The truck that carries the dumpster can cause more damage than the dumpster! 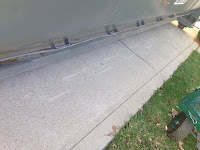 The big tri-axle trucks can easily crack your drive, break off chunks along edges, knock down wires, and if they go off the driveway they will damage the landscape. If you are in Atlanta area (Marietta, Roswell, Kennesaw, Acworth, Alpharetta, Dallas, Hiram, Douglasville, Smyrna, etc) we will provide you with a dumpster that comes with 100% driveway protection at no additional charge! We go beyond standard plywood, we use solid wood boards with stops to prevent the dumpster from rolling off the protection! Furthermore, we use the smallest, most agile, and lightest delivery trucks in the area! We can be reached at 404-692-2838.